Telesto is a pretty effective exotic fusion rifle, which has appeared in both Destiny games. Its gimmick is that as well as dealing damage with its bolts, it spreads barbs which stick to any surface it hits, before exploding a short time later. That basically means that you don’t even need to hit your shot in order to damage your opponent. Last week, Ice-T said that he’d reached Destiny 2’s Light cap of 650, and when asked by a fan to provide proof, he uploaded a picture showing off his guardian and confirming his prowess. Some fans, however, quickly noticed Telesto lurking in his secondary weapon slot. You can check out Ice-T’s screenshot in the tweet below. Given the sheer scattershot approach of the weapon, I can understand the distaste aimed towards it, but several players have said they can’t stay mad if it’s Ice-T’s weapon of choice. If you fancy a real rootin’-tootin’ gun, then you’ll be glad to know that The Last Word has recently returned to the game. 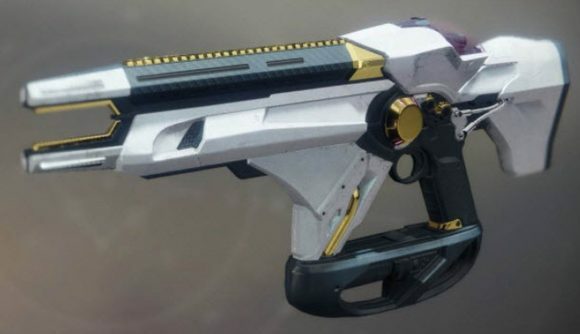 You’ll need to complete a quest to get your hands on the iconic Destiny handcannon, but once you’ve got it you can relax, safe in the knowledge that you actually need to be good at aiming with your pistol of choice.